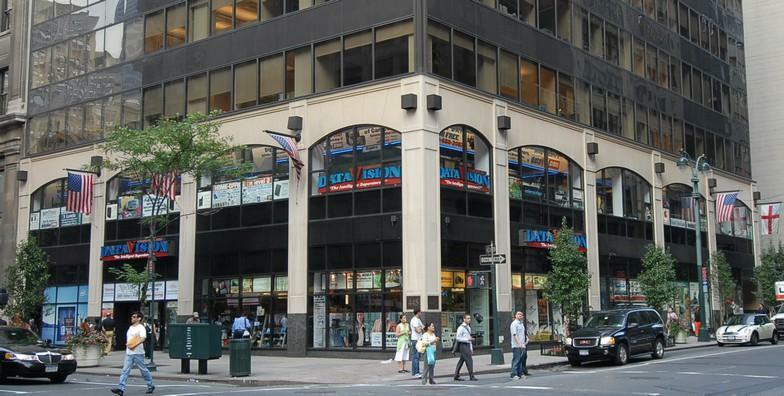 DataVision’s flagship 30,000 sq/ft SuperStore is located in Midtown Manhattan, at 445 Fifth avenue @ 39th street adjacent to the New York Public Library. Our family owned store has provided exceptional selection, prices, and service to our customers for 22 years. DataVision SuperStores are the most advanced computer retail environments in the country and are often used as showcases for major manufacturer product releases from Apple, Sony and Intel. We are an authorized dealer for virtually every product we offer. In addition to authorizations for retail, we are also authorized service centers for Apple, Sony, Toshiba, Asus, Lenovo, and Microsoft. We perform custom installations, repairs, and even can help you recover from most computer related disasters. Our turnaround time starts at SAME DAY. Can’t find what you are looking for? Head over to www.dataVis.com and shop for over 50,000 unique items, shipped fast to your door.